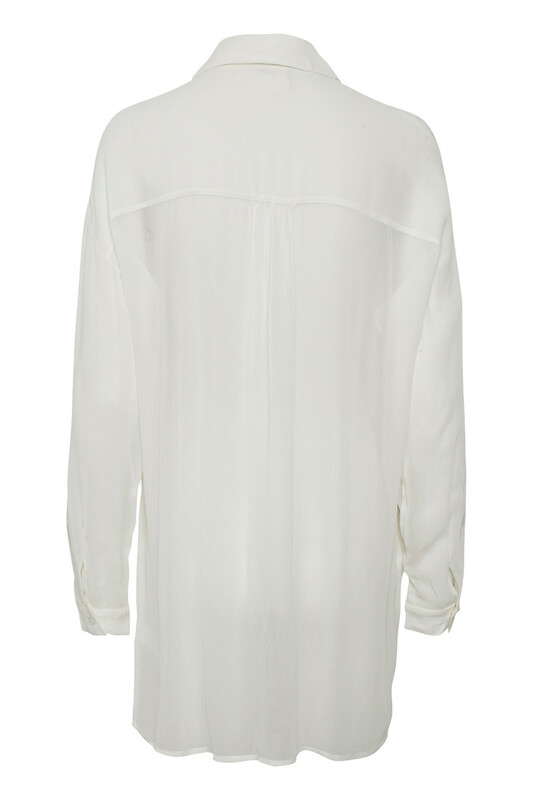 Comfortable and feminine long shirt from Cream. 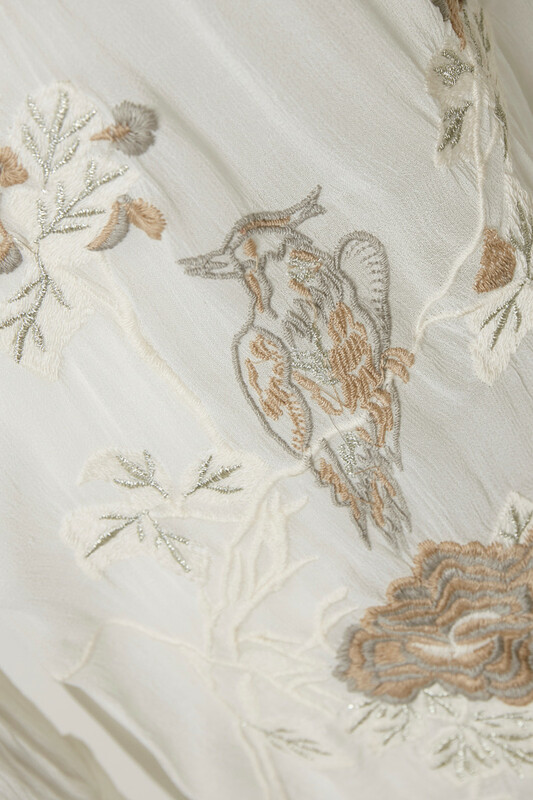 The shirt has long sleeves with button closure, an elegant and feminine embroidery, and it is buttoned. It has an oversize fit and the quality is really pleasant to wear. 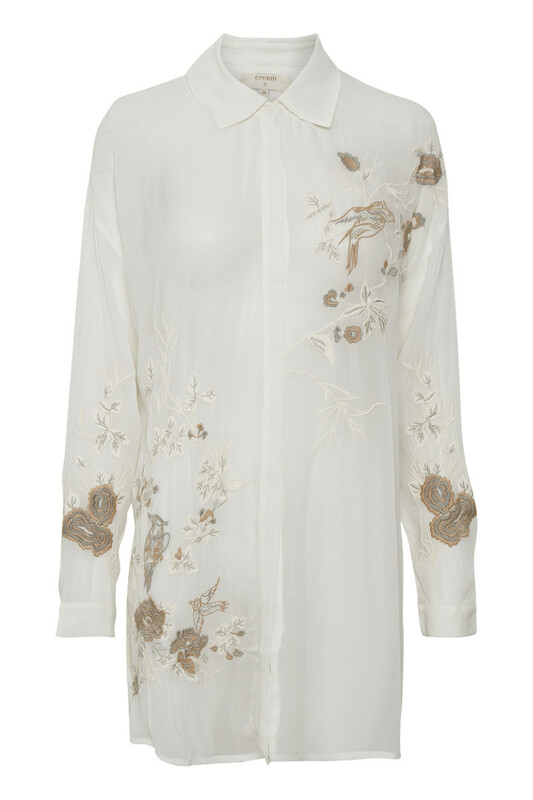 The shirt is transparent and has a slightly longer back-piece, which creates a stylish effect to the long shirt.